There are only a few weeks until the official launch of the new Assasssins’s Creed Black Flag game, an opportunity for manufacturers to launch trailers. In previous videos published by those from Ubisoft on the new Assassins’ Creed, were explained technological elements used to recreate a virtual plausible universe. Since by this time the main character was neglected, the newest trailer gives us details about the story of Edward Kenway. To better understand the transition from a young pirate character to an assassin whose sole purpose is revenge. The good part of this trailer is not limited to the cutscene’s, but includes some fight sequences in the game to impress you with further technological advances used by Ubisoft in achieving this title. 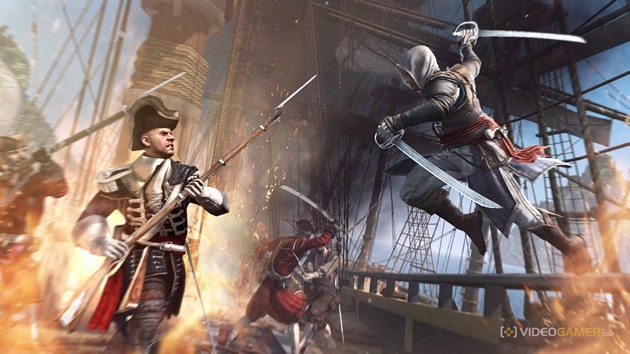 If you have not heard yet, Assassin’s Creed Black Flag will be available both for current consoles and for PC and next-gen consoles. Unfortunately, it would not be released everywhere simultaneously. For PlayStation 3, Xbox 360 and Wii U will be purchased from 29 October, for the PlayStation 4 on 15 November and Xbox One – November 22. If your favorite tool is PC gaming, you will be forced to wait almost the most, until 19 November. In any case, one thing is certain. The new Assassin’s Creed is impressive, the graphics are from another league and the story seems ripped from a movie.